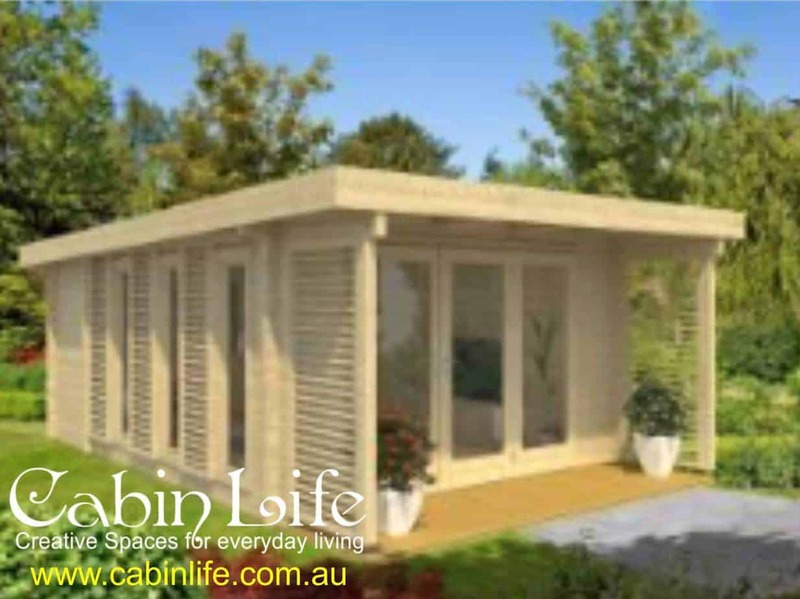 The Fiji Timber Cabin is a 5.2 x 3.9 metre versatile back yard cabin just under 20m². 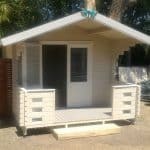 This cabin has a stylish 1200mm verandah attached and comes in 70mm thick timber. 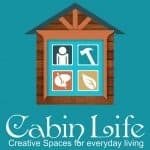 Enquire About The Fiji Cabin, for more info to be sent via email. 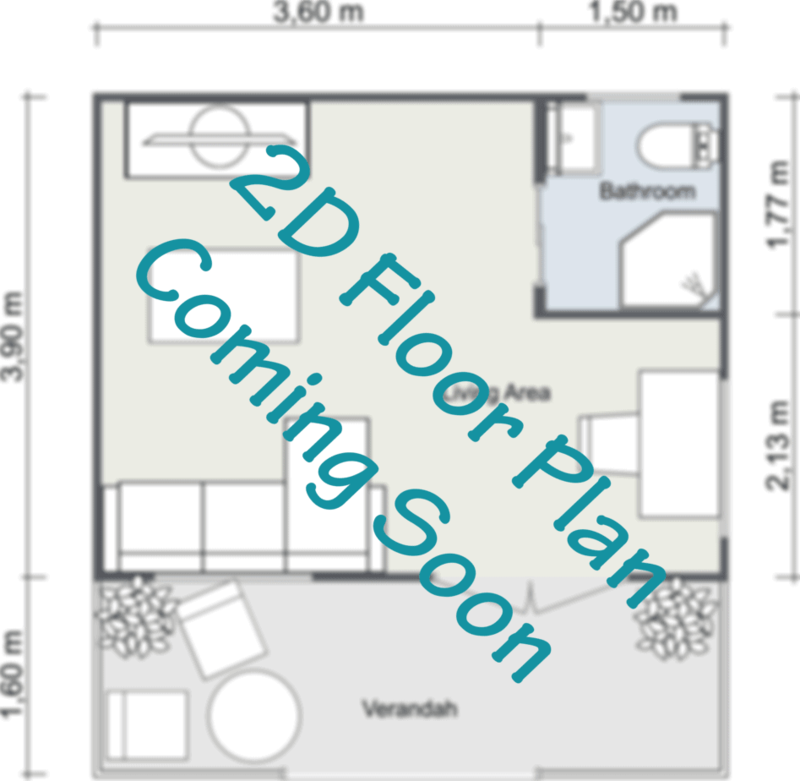 The Fiji Cabin comes with a 2.55m² Bathroom that is big enough for a shower, toilet, hand basin and towel rack. 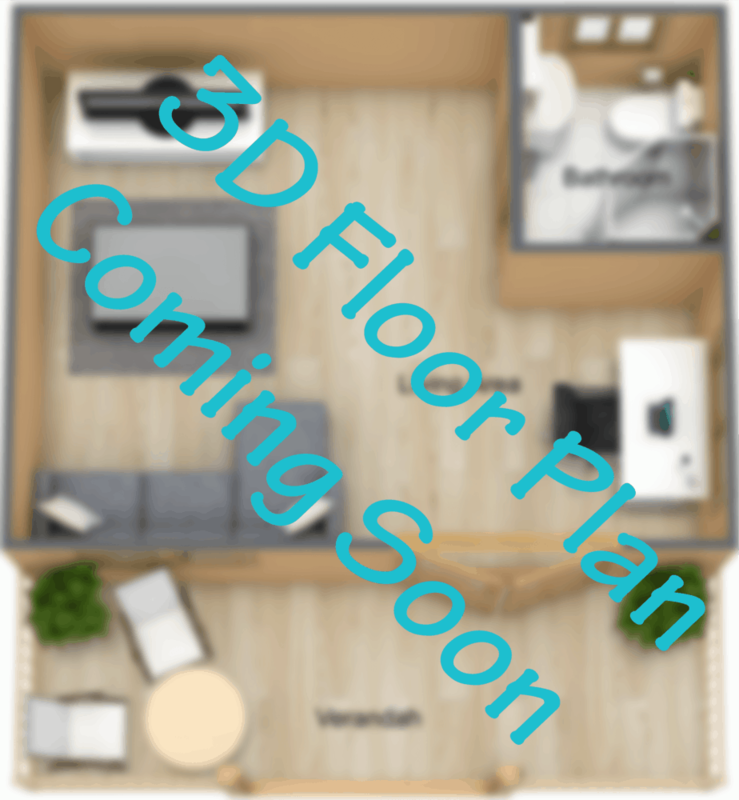 150mm x 40mm, Full Span for N3 wind rating. 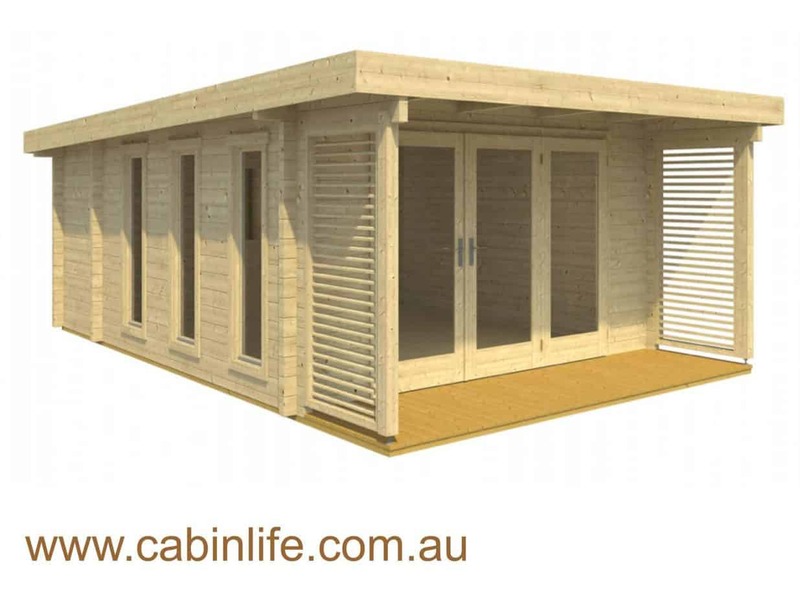 The standard Fiji Cabin Kit comes with 5 Double Glazed Timber Windows. “Double Glazed” Half Glass French Doors with handles and locks is included in the standard Fiji Cabin package. 19mm solid treated timber Verandah at 3.9 metres wide x 1.2m deep.